An aviation accident is an unthinkable disaster with tragic consequences. To our clients who have lost a loved one in an airplane crash, we extend our deepest condolences. In this difficult time of grieving, we understand family comes first and we couldn’t agree more. That’s why it is critical that you hire an aviation attorney now. The deadline for bringing a claim can be as short as six months. If you wait, you will waive your rights. Hiring a lawyer to represent you and your family after an aviation accident is an important decision. The lawyers at Injury Law Group are experienced aviation accident attorneys. Our award-winning personal injury attorney and team of experts aggressively pursue investigation of an aviation accident to determine its cause. The NTSB will take at least a year to complete its final report and the FAA investigation frequently takes longer. If your airplane crash case is subject to the six month filing deadline, you cannot wait for the NTSB and FAA or you'll run out of time. You need a lawyer who can do an independent investigation and move forward with your case in a timely manner so that you and your family don't waive all of your legal rights. 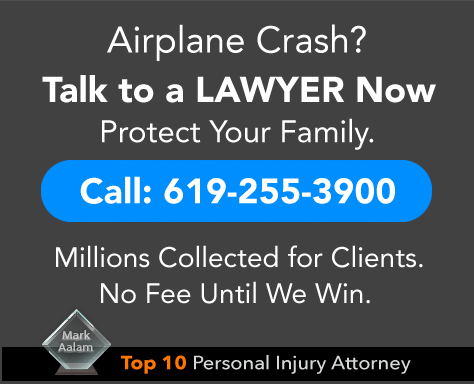 Our Top 10 Personal Injury Attorney specializes in aviation accident matters, including crashes involving commercial airlines, private jet charters, single engine aircraft, and helicopter charters. We obtain justice for your family by holding negligent parties accountable for your loss. Under California personal injury law, if your family member was killed in an aviation crash, you are entitled to monetary compensation for the loss of companionship that you are suffering and will continue to suffer for years to come. This is in addition to loss of income and support and other items of recovery. Your lawyer at Injury Law Group will help you hold the airline, pilot, or other negligent party responsible for their carelessness and its devastating effects on your family. Contact Injury Law Group today and speak to an aviation attorney now. We cannot stress enough that you must act soon. Deadlines for bringing your claim frequently are as short as six months. If you wait you will lose all of your legal rights. Let our award-winning attorney fight hard to obtain the maximum compensation for the injury and loss suffered by you and your family. If you are looking for the most dedicated airplane crash lawyer California has to offer, you have found the right firm. At Injury Law Group, our lawyers aggressively pursue investigation of an aviation accident to determine the causes of the crash so that we can build the strongest possible case and obtain just compensation for your family. Our attorneys are experts in proving aviation accident matters, including those involving commercial airlines, private jet charters, single engine aircraft, and helicopter charters. We are committed to helping you and your family recover from the physical and emotional trauma of an aviation accident. Our attorneys will protect your family’s legal rights and obtain justice for your family, holding negligent parties accountable for your loss. A California airplane crash lawyer at Injury Law Group will work closely with your family to build a strong case and maximize your financial recovery for pain and suffering and loss of support and companionship. or aircraft maintenance crews. Investigation by special investigators can include independent analysis of the NTSB final report, examination of documents and other factual evidence relied upon by the NTSB and referenced in its final report, interviewing witnesses, examination of the cockpit voice recorder, and study and analysis of other key details and important facts. In most cases, the very fact that a plane has crashed leads to the inference that there was some negligence on somebody’s part or a defective design existed on the airplane. Plane crashes don’t just happen. Airplanes are built and tested to endure tough weather conditions. When there is a crash, it usually means somebody was negligent. Determining the cause of a plane crash can increase your chances of obtaining a large monetary recovery. If it is crystal clear that the crash was caused by pilot error, then your attorney will have a better chance of proving negligence and obtaining a recovery in your favor. In contrast, if bad weather appears to be the main cause, it may be more difficult to prove pilot error. Also, a thorough investigation by your attorney can potentially uncover additional parties that can be sued and will be liable for your family’s injuries and losses. For example, if you can prove there was pilot error, and negligent maintenance, and a defectively manufactured part, then you have three different negligent parties that you can sue. This would tend to increase the anticipated monetary recovery that would be expected in your legal claim. Despite the rigorous training undergone by pilots, the most common cause of plane crashes is pilot mistake. Pilots are also held to a high standard or care. They are held to the standard of a very careful pilot flying a plane, which means being extremely cautious and painstakingly paying attention to all flight procedures. Essentially, this means doing everything correctly. Airplane pilots cannot afford to make mistakes. If mistakes happen, an airplane can go down, causing mass casualties. When a pilot fails to adhere to the high standard of pilot prudence, such asignoring a warning light or signal or overlooking an item on the flight checklist, then the cause of the plane crash can usually be attributed to pilot negligence. If the airplane disaster that has had a devastating effect on your life was caused by pilot negligence, your airplane accident lawyer at Injury Law Group will build a strong case of pilot negligence, which will help you obtain the maximum monetary compensation available under airplane accident law. Poor airplane maintenance, or negligent maintenance, is an all-too-common problem in the airline industry. As airline companies struggle to stay in business, they cut costs and often cut corners on airplane maintenance. Also common is that instead of performing their own maintenance (to ensure that lives are saved), airlines companies may contract out the maintenance work to companies that may use inexperienced or potentially unqualified airplane mechanics. Airlines, airplane mechanics, and contract maintenance crews, are all held to a very high standard of care. They must perform all needed maintenance and cannot cut corners, as doing so can place lives in jeopardy. If an airplane mechanic lets an airplane leave the hanger without performing proper maintenance, the airplane can crash, resulting in everyone on board being killed or seriously injured or burned. An experienced California plane crash lawyer will be able to determine if the cause of the accident was negligent maintenance, so that the right parties can be held accountable. Airplane parts must past strict testing to ensure that they are not defective and will not fail in mid flight. Even if parts pass initial testing, defectively manufactured parts, or defectively designed parts, may fail years later. When that happens, the results can be catastrophic. A single defectively designed or defectively manufactured part can cause an airplane to crash and cause hundreds of deaths. After a crash, an expert California airplane crash lawyer can perform conduct investigations to determine whether the cause of the accident was a defectively manufactured or defectively designed part. Bad weather, by itself, usually is not the cause of an airplane crash. Bad weather is predictable, meaning that pilots have access to plenty of information regarding when and where bad weather is going to occur. So pilots can easily navigate around bad weather, or decide not to fly into it. If an airplane goes down due to bad weather, then it is usually an indication that somebody, either the pilot, air traffic controller, or airline, was negligent in allowing the flight to take off or continue in a given flight path leading directly into bad weather. Failure to follow FAA regulations and safety rules points to negligence on the part of the pilot, air traffic controller, or other parties who violated FAA rules and regulations. After a plane crash, the NTSB will determine whether any FAA rules or regulations were violated and, frequently, there an FAA safety regulations will be found. Even if the FAA does not find a violation, a California plane crash attorney will perform an independent investigation that may lead to discovery of an FAA regulation violation. 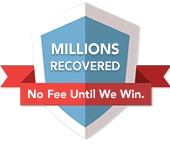 This type of dedication, among other detailed investigative procedures, demonstrates our level of commitment to protecting your legal rights and gives you the assurance that you are retaining the right lawyer to protect your family’s rights.